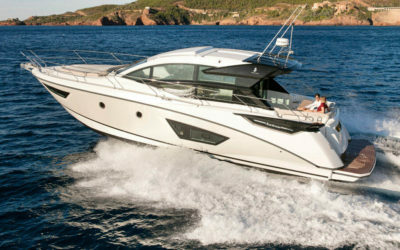 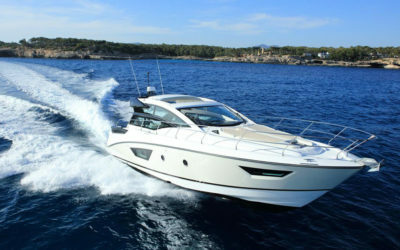 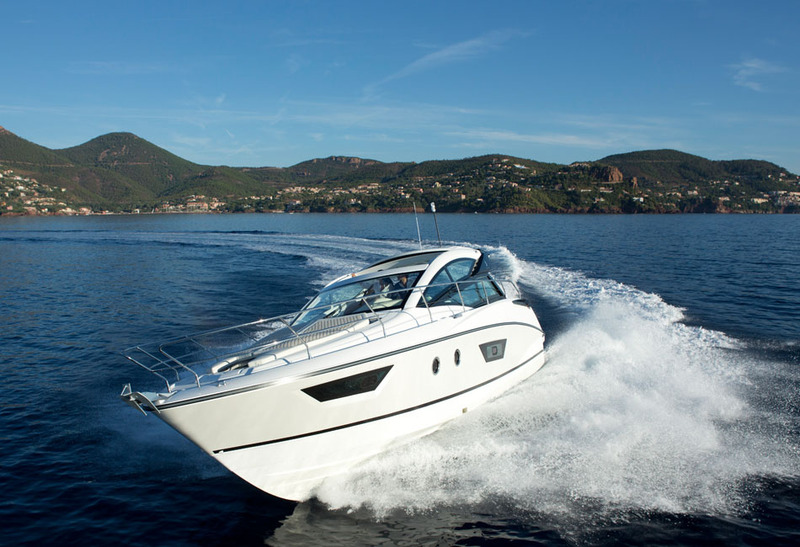 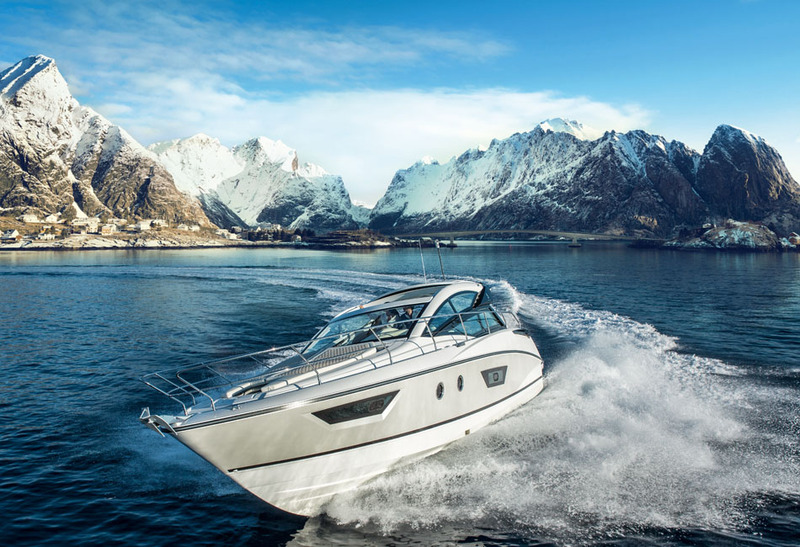 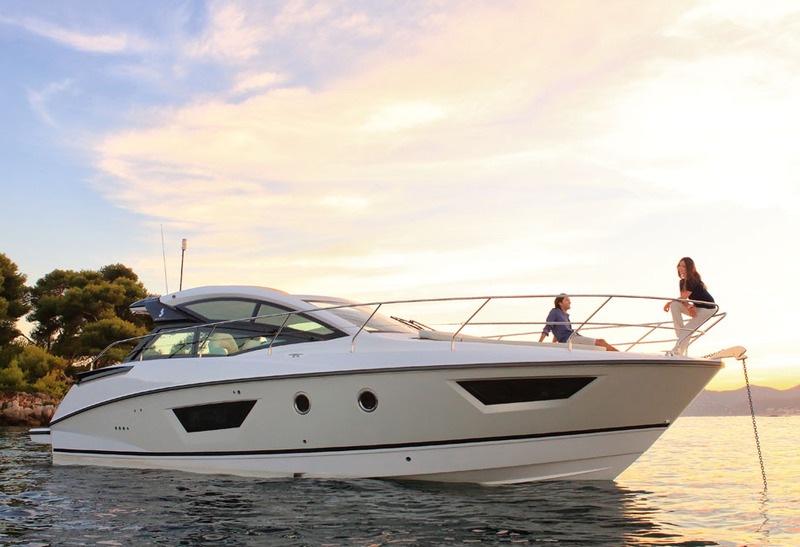 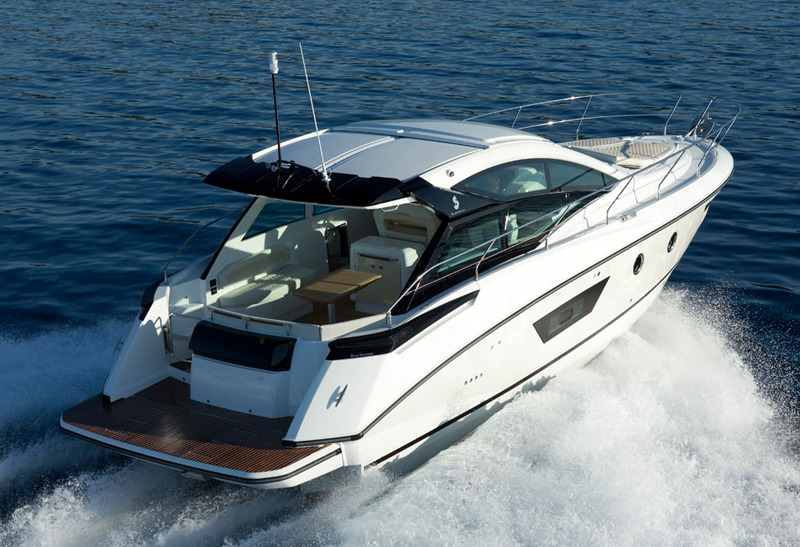 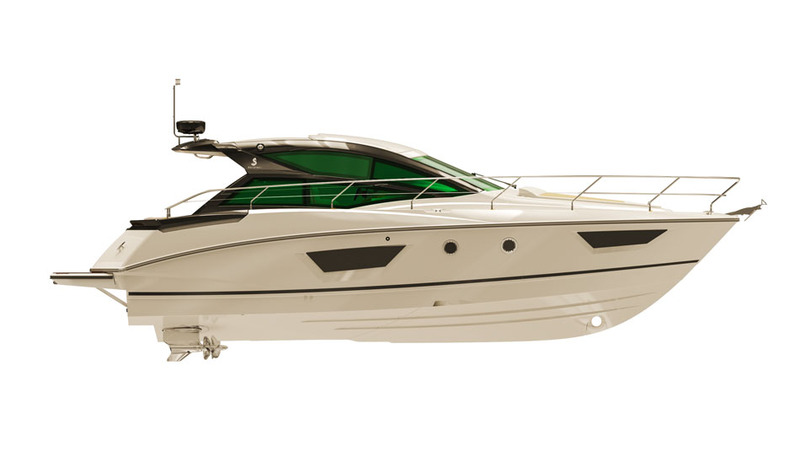 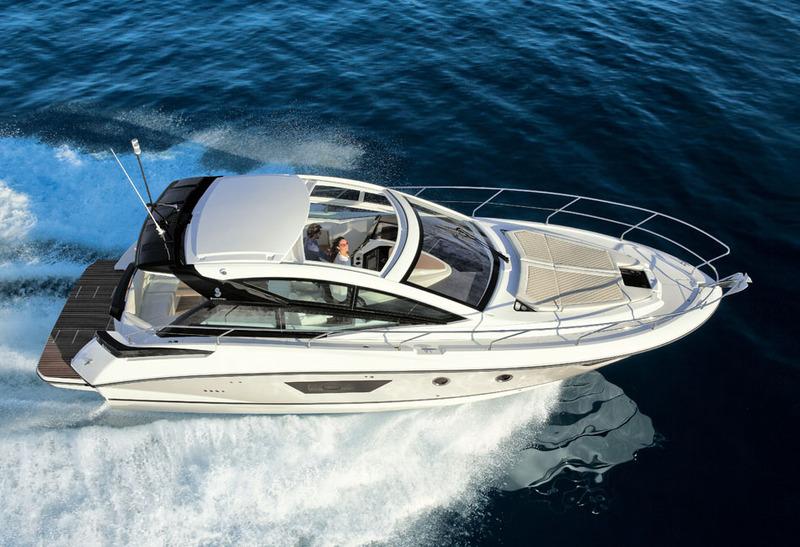 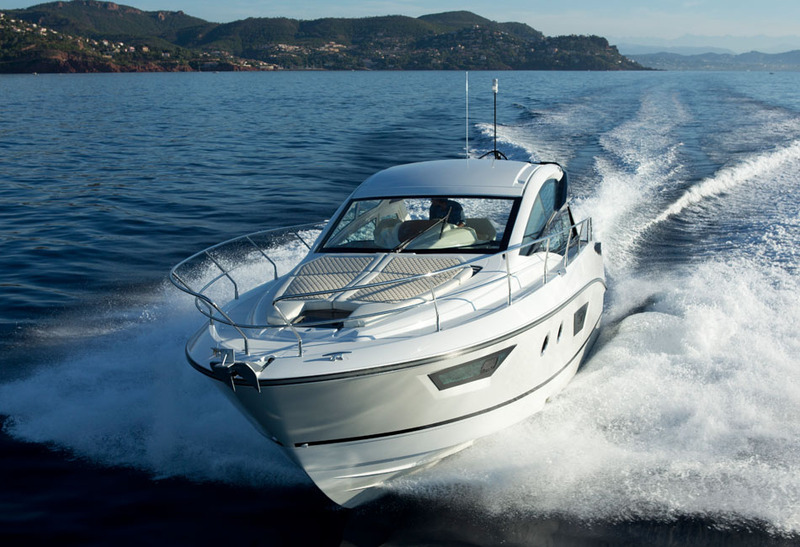 The Gran Turismo 40 revolutionizes the concept of sport cruisers. 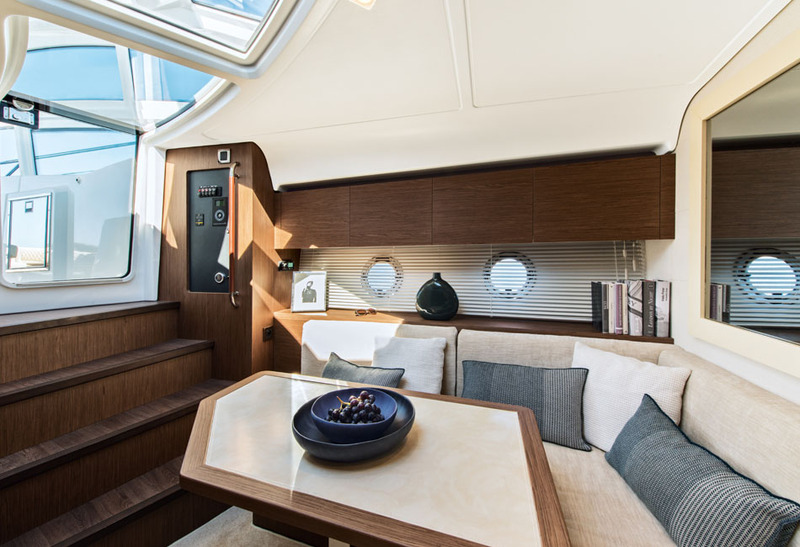 In the hands of Nuvolari and Lenard she takes a new approach in design that makes her aesthetically appealing. 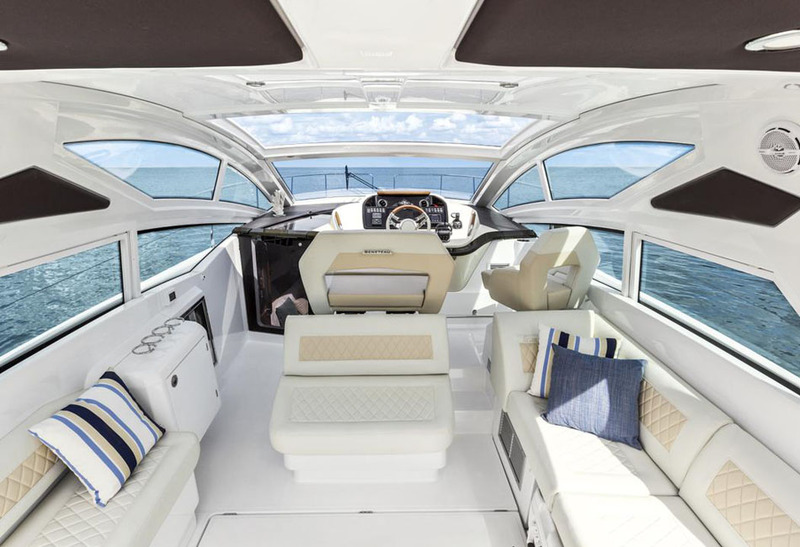 Her brilliance is topped off with highly organized interiors and world-class finishes. 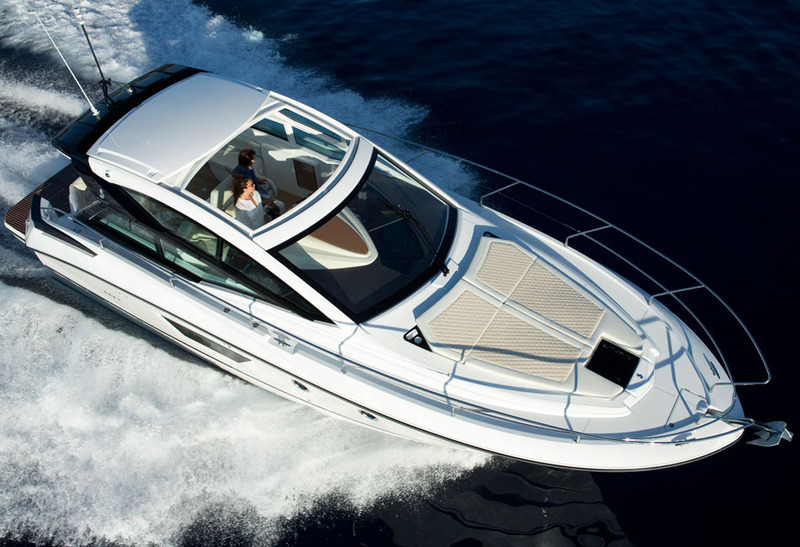 Slender lines, a hardtop, and exquisitely-designed side glazing accentuate the sporty character of the Gran Turismo 40. 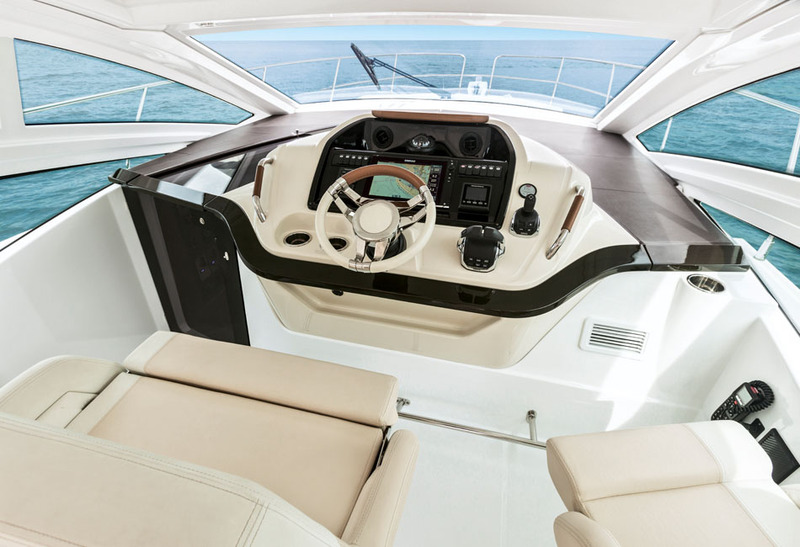 Enjoy smooth and safe driving with the latest Air Step® hull and central driving console. 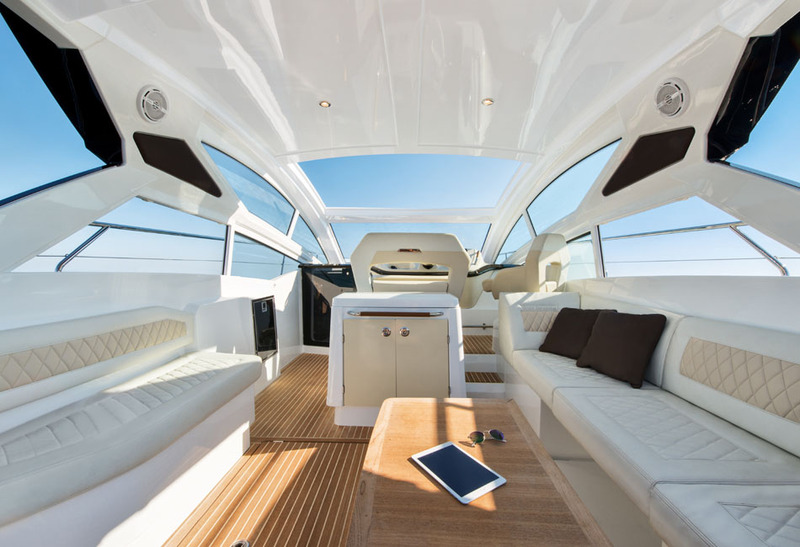 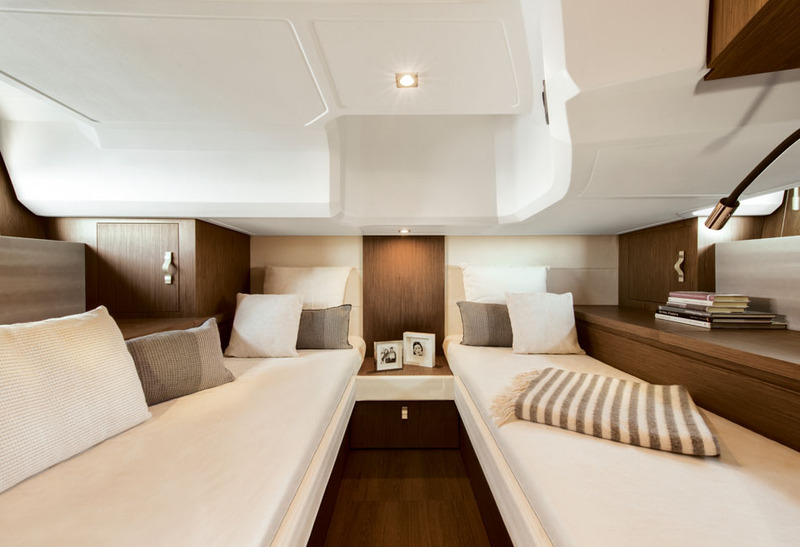 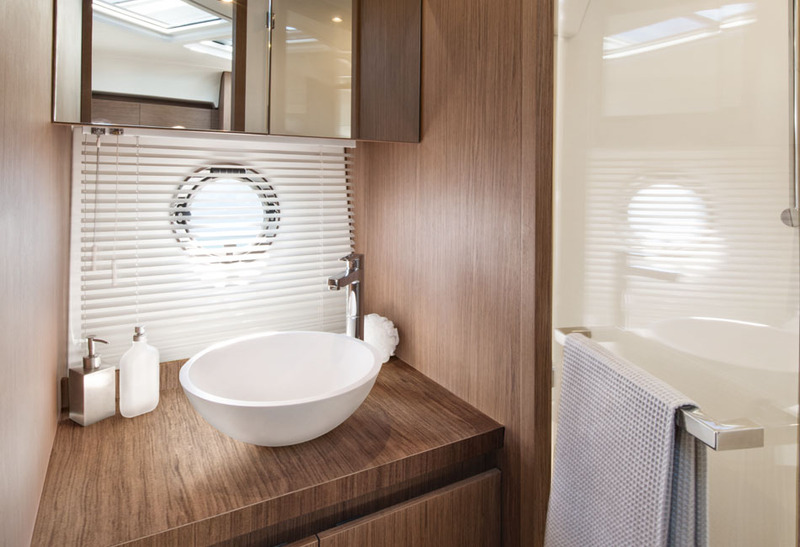 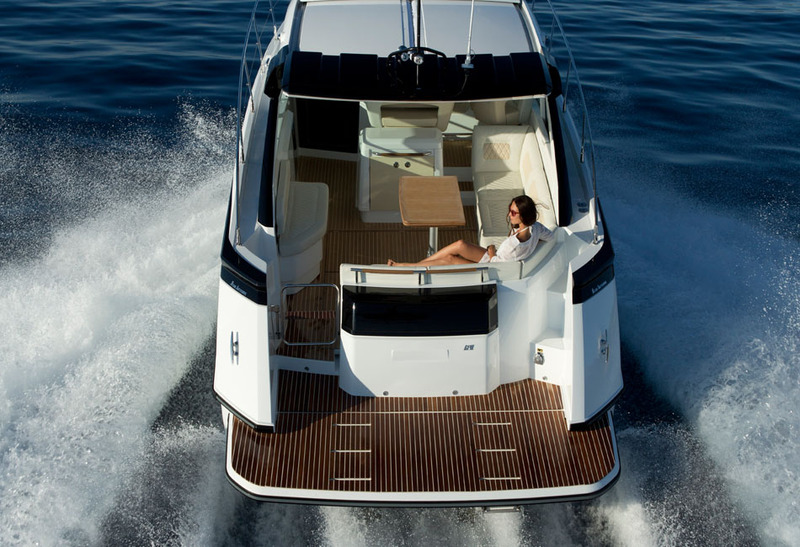 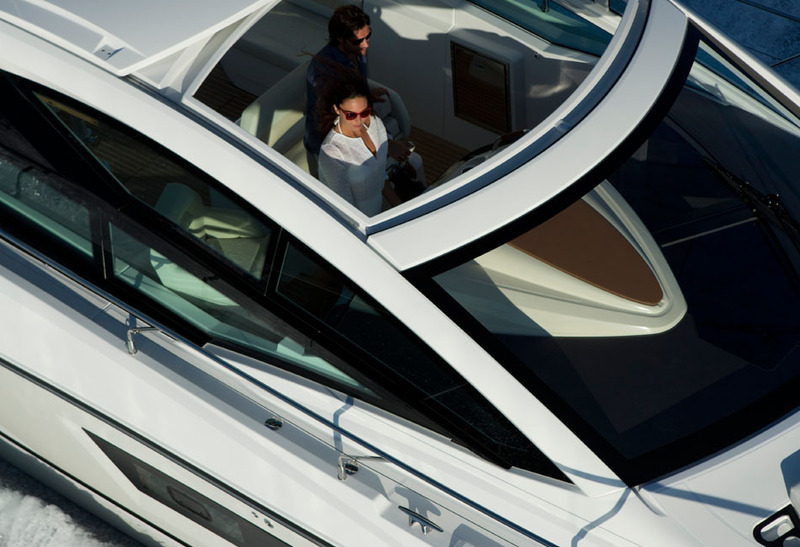 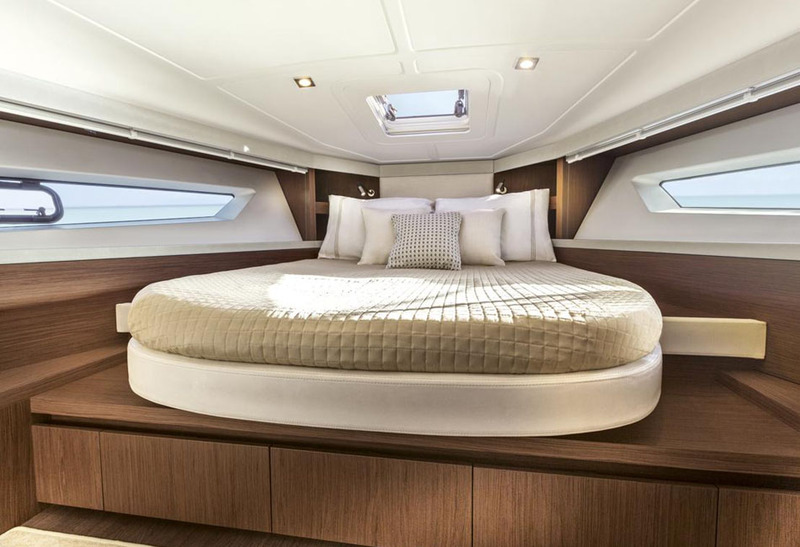 The lower deck layout offers unparalleled space compared to other boats in her league. 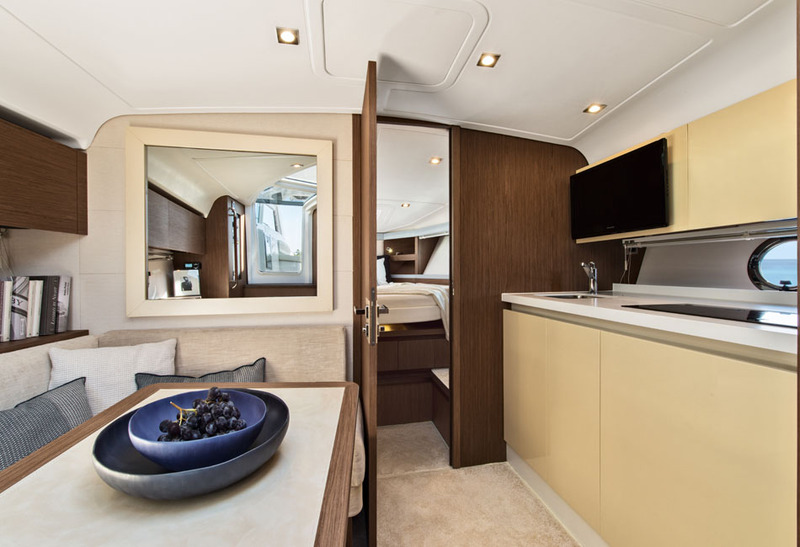 The Gran Turismo is distinctive for its state-of-the-art habitability, punctuated by lacquered furniture and matte walnut woodwork.